I felt like I was reading about myself.in the beginning I had that fire for Christ, now I feel like I’m drowning in life’s problems. I take care of my father and lives with both my parents in a ungodly atmosphere. I feel like I’m so far away from God. Can you help me? Amy – praying for you now! Check your email for an email from me! Oh Melissa! Bless your heart… thank you for being so transparent in sharing your experience. 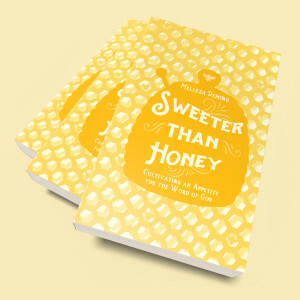 I look forward to picking up a copy of Sweeter than Honey. 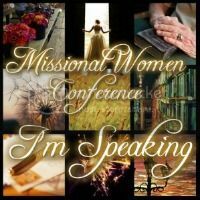 God is directing me to dig back into His Word when I facilitate a small group this fall. 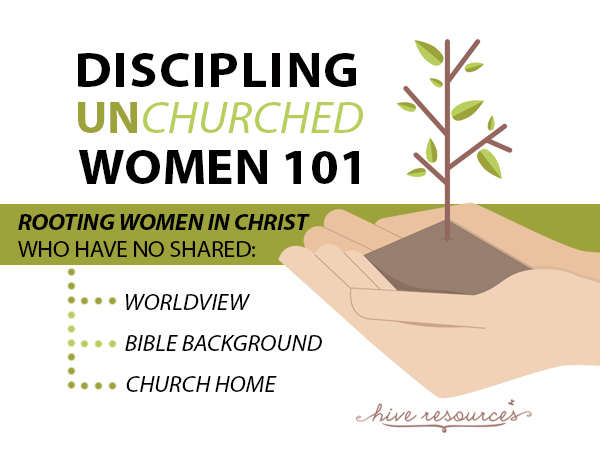 Thank you for breaking down discipleship into a process we can understand and replicate! Thank you for reading Maritza! Thank you so much for sharing. I have been a failure in this area in years past. There is such a great need in these times. GOD BLESS YOU MIGHTILY! Debbie – thanks for reading. Discipleship is so hard, but thankfully, His joy is our strength! 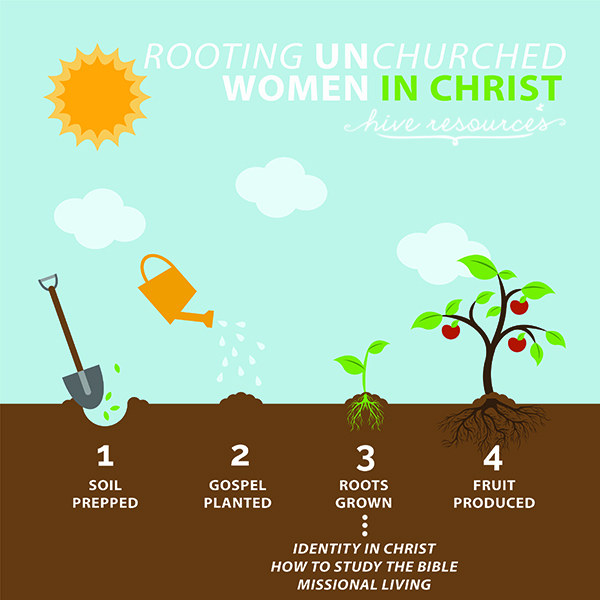 I have SO enjoyed these timely blog posts about discipling “unchurched” women, Great insights on the soil preparation and the root system development. I know the Lord let me across this resource!! Thank you for this post! Discipleship can get really messy but it is rewarding! Thank you for sharing your past mistakes (as well as what you should have done). 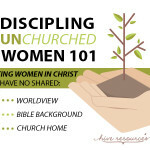 It was a hard lesson, but I hope it will help women who desire to disciple others! 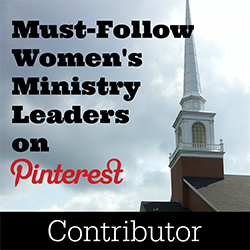 Would you use the series for “churched” women as well? 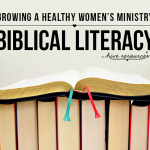 I have been asked to lead a women’s Bible study at my church and I am freaking out. I feel very compelled to focus on Bible study. 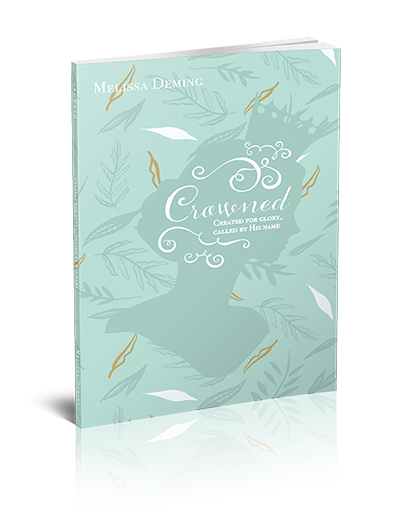 I purchased Crowned and read the introduction so I am apprehensive to use it as a starting point since it seems to be geared toward “unchurched” women but I have found, even among those churched, there seems to be an identity crisis for women of God. I believe it is sad when women come to Christ, and we give them a to do list instead of giving them the knowledge of Christ and His beauty. I am teaching a class on studying the Bible in the fall and pray I can remind myself of this !